People around New York take pet pampering seriously, and no businesses understand that better than pet stores. From holistic food and supply centers to artful boutiques with their own pet spas, the state has plenty to choose from. Here are some of our favorites. Since it opened in 2005, Animal Outfitters has served the pet lovers of Buffalo with specialty pet products and premium food for cats and dogs. Its owners, Omar and Susannah, have earned a reputation for their friendliness and helpfulness. This posh pet shop in the West Village doubles as a sensory experience for pet owners. Expect artfully arranged clothing, toys, and gear throughout the boutique. Dog Daze is a holistic, affordably priced pet store in Syracuse. The local favorite stocks toys, leashes, treats, and food for dogs and cats on raw and natural diets. Deemed the best pet supply store by New York Magazine, this tiny Carroll Gardens spot stocks a surprising amount of quality pet goods and gear, including natural food and pet furniture. Since 1992, this independent pet store has offered everything your furry, feathered, aquatic, and reptilian friends need. The staff is knowledgeable and will answer any questions about their products. Find locations in Clifton Park, Colonie, Johnstown, Queensbury, and Saratoga Springs. This highly-rated pet supply in Queens has become the store of choice for cat and dog owners who want to serve healthy, holistic food and nutritional supplements to their beloved pets. A destination for “picky pet parents” on Buffalo since the 1940s, Elmwood Pet Supplies has met the needs of pets and their owners by stocking leashes, collars, and other gear, as well as high-quality pet food. In addition to a wide variety of natural pet foods and home delivery, this pet store in the heart of Bushwick also offers grooming services and a dog wash. They host adoption events as well. A tiny “beastro” in the financial district, Petropolis has plenty of food and treats both in-store and in its online shop. 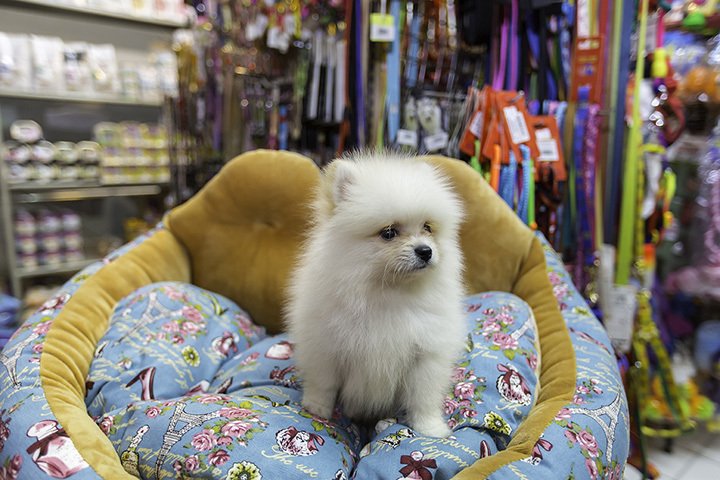 The pet store is also known for its high-end grooming services for cats and dogs.